GUITARIST (and expert angler) Bernard Yin, who just came home from a tour in Europe with the Fuzztones, recently hit me with one of the coolest thoughts I’ve ever heard about the synergies between playing music and fly fishing. The more I think about that, the more profound it seems, and the more I realize that an observation like that could only come from someone who has spent his fair share of time under hot stage lights… and also with his legs dunked in cool currents as the hatch unfolds. So much of my life, as a writer, is consumed by the past and the future. I make a story, and it’s instantly an “artifact,” left out there for others to digest and critique. I always wonder if I said it just right, and what I might have done differently and better. On the other hand, my life literally revolves around deadlines and schedules. What happens next? How am I going to pull that story off? And yet, the real peace happens when I’m actually on the water and I’m able to block everything out of my mind to focus on the “now.” Paradise is being in a space where all that matters in your entire universe is what might happen within the next five seconds in that pocket of promising water 35 feet in front of you. It’s exactly the same on the musical stage. “Jamming,” as it were, is having all the fundamentals packed so tight in your brain, that the act of playing is nothing more than response and free expression. The tighter it is, the better it feels. All of which perfectly explains why a mogul of industry can find himself or herself on a trout river, and turn giddy like the little child they once remembered themselves to be. 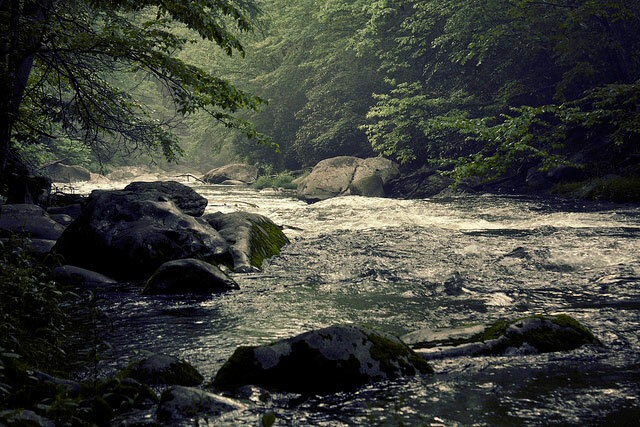 It’s why the cancer patient can feel renewed and emboldened with a fly rod in hand. It’s why the perennial loser can play the hero and find that inner compass. Because we can lament, perhaps fondly remember, all the things that have happened in our lives in the past. And we can plot grand strategies for where we want out lives to go. But in those truly magic moments of profound “nowness”—on a river, on the flats, on a musical stage… the birth of a child, the instant you find love, whatever—all that really matters is what happens within seconds. Not days, nor weeks or years. Seconds. Being able to live entirely in a moment, in any place, for any reason, is one of the greatest life rewards anyone could ever hope to experience. Fly fishing offers more than its fair share of those opportunities.